Based on the training material on how to design, credentialise and formally recognise open learning, the ReOPEN partners have developed courses for continuing professional development of VET learners. 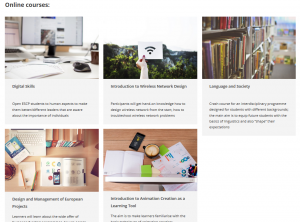 These courses are designed based on the criteria for accessible open learning and qualify for formal recognition. All courses issue qualified badges to document learnign achievements upon successful completion.